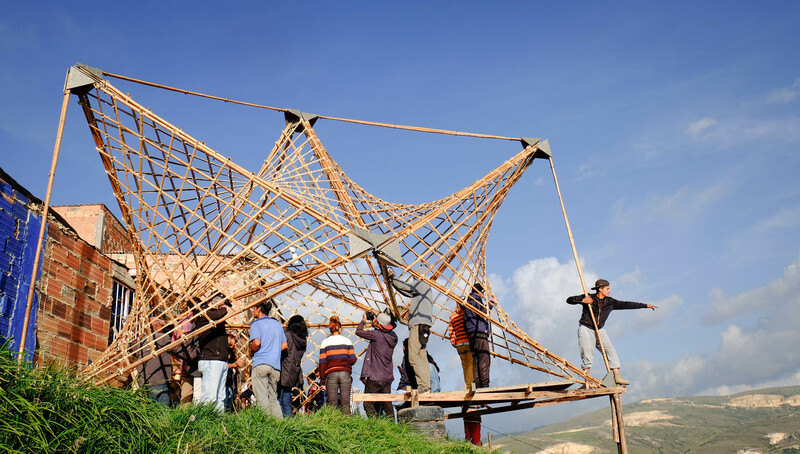 Restorative Cell: Structure in bamboo built during the workshop. 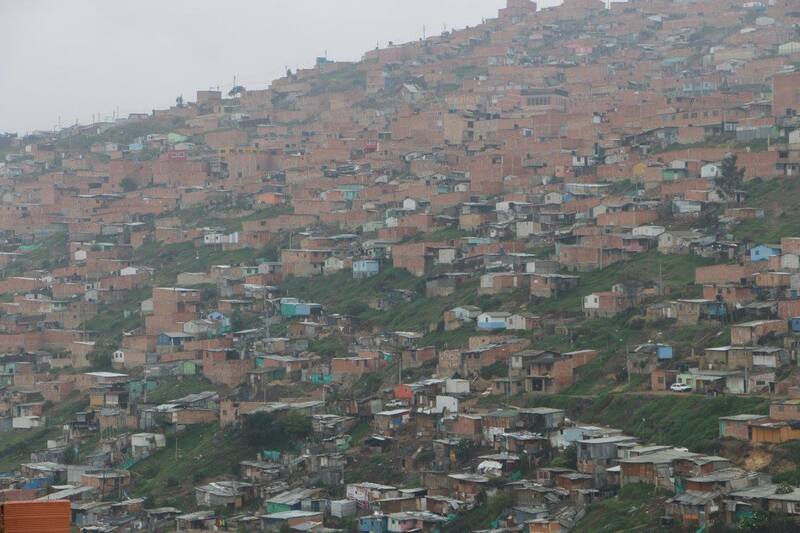 Years ago, I had done a few activities in Ciudad Bolívar, the largest homegrown settlement in Bogotá. I returned to some of those old contacts and made a detailed site visit. This was necessary as it is a complex territory that is in constant transformation. During this journey I crossed the border between Bogota and Soacha, a municipality south of the city, before arriving in Cazucá, the first district of this municipality, the excessive growth of which is conjoined with Bogota. Regardless of its proximity I discovered significant differences between Ciudad Bolivar and Cazucá: Ciudad Bolivar is extremely dense, already in an advanced stage of consolidation, much of the territory is legalized, counts well in terms of infrastructure and has a population of approximately 800,000 inhabitants. 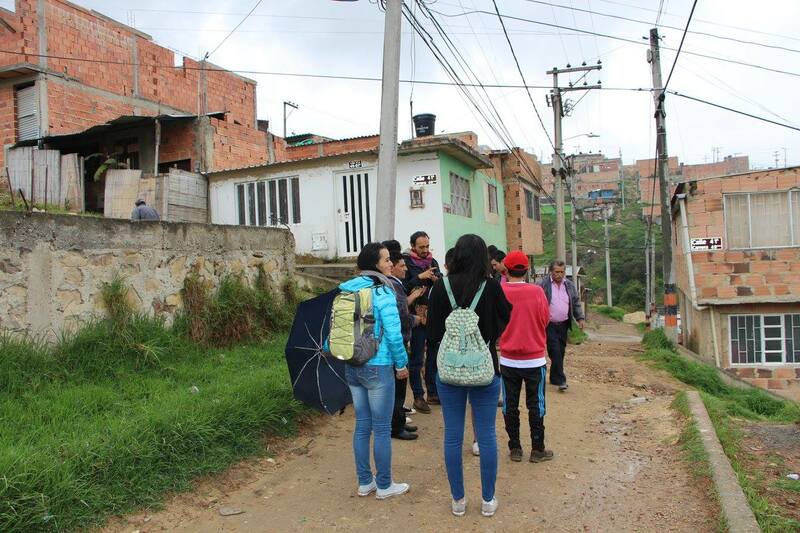 Cazucá is considered an "invasion neighborhood", is dispersed, is still in the process of being fully consolidated and the number of inhabitants is not known, since the government has refused to carry out a census. On the other hand, the ecological structure of Ciudad Bolívar is kept with a typical savannah geography, while Cazucá is arid and in a process of ecological deterioration due to the illegal mining operations that have been carried out for more than 30 years. This marks a difference in the dynamics of territory conformation. "We arrived in Cazucá in 1994, from La Peña, a neighborhood in Bogotá where we were in 1993. We arrived here because we were looking for a place where we did not have to pay rent. We also had hopes of having a house of our own. Altos del Pino was the first neighborhood that was built. The invasion started there in the sector of Corintios 3"
Nohora explained that the neighborhood had an important stage of consolidation in the early 1990s due to the arrival of demobilized guerrillas of the M-19 during the peace negotiations with the government. The second stage would be in the late nineties. This continues until today with the arrival of farmers from rural areas. Since her arrival in Cazucá, life conditions for Nohora and her family were difficult. Miguel, her husband self-built their house. With some neighbors he organized access to water. In addition to this the social conditions in Cazucá have always been difficult, which drove Nohora and her family to lead processes of community empowerment, developing different projects, especially with children. A few years after arriving in Cazucá, Miguel, her eldest son, was born, who would be part of the first generation of young people born in Cazucá. From his experience Miguel always felt that he lived in a difficult context and within this reality he endured seeing some of his friends die or flee from Cazucá due to conflicts between gangs. Just like his mother, Miguel feels that Cazucá is a place worth fighting for and where it is necessary to develop projects with young people to improve their territory. "I remember that I was on the bus with my dad while a man was selling books which taught how to play the guitar. My dad bought them for me. So I learned to play by myself and started teaching my friends. As we did not have instruments we participated in a contest and won some. After this I saw that some children were interested in music and with my friends we started giving workshops to several children in the neighborhood " - Miguel Zambrano. During these years of consolidation, Nohora and her family received the support of different organizations. 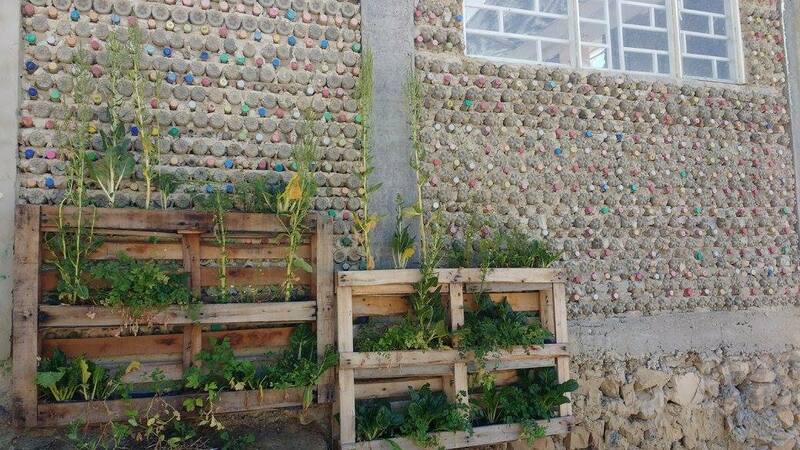 Through this process they built the Casa de Botellas, a space built by Miguel, Nohora´s husband for the purpose of holding the activities of the organization. However during our first meeting, they dreamt of building El Centro Juvenil Escape, a Youth Center with the necessary conditions to carry out activities and workshops. Listening to her story on the process of empowerment during which Nohora and her family had led, and the dream of building their own space, for nearly 18 years, I decided to offer my support in the design process. Through this process, urbz Colombia was also consolidated and during the course of a year new organizations joined the proposal of Escape in the search to make their dream come true. All through, we organized walks where the Cazuca inhabitants taught us about their territory. We carried out workshops where experts from the neighborhood and different areas exchanged their ideas to generate new projects through a development of mutual transfer of knowledge. 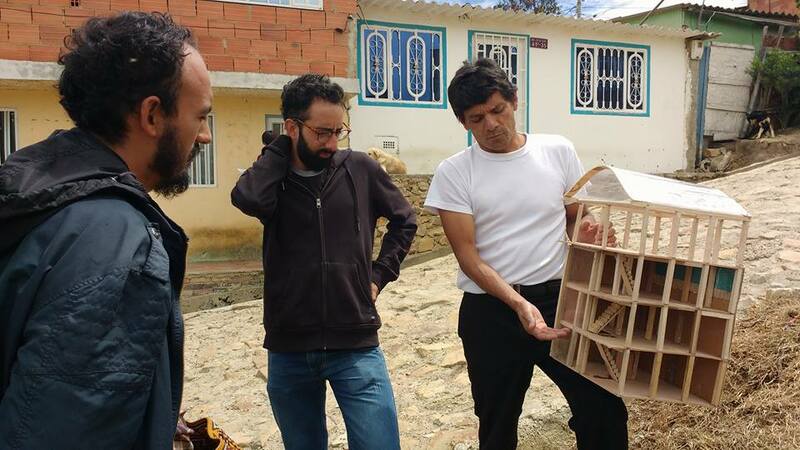 This process, actions and the empowerment of Escape resulted in the 1st Workshop on Emergent Architecture and Urbanism that was held in May of this year in Bogotá. The workshop sought through a practical approach, to understand, to recognize and to value the role that the Homegrown Neighbourhoods have played in the development of the city and to integrate it to the academic processes. 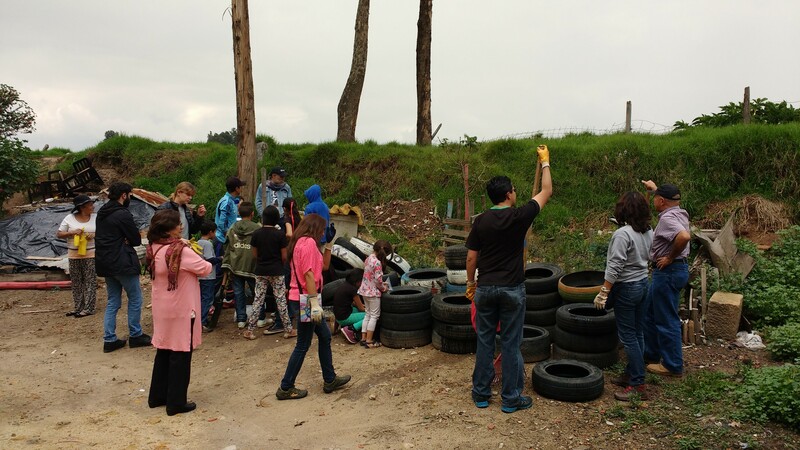 This activity allowed to link students, professionals and self-builders from Costa Rica and Colombia in a space that allowed us to exchange experiences and to articulate their ideas through a methodology for collective design. Since my return to Colombia I have seen that the story of Nohora is repeated in other territories in Bogota that I know: Carlos, Leader of the district Juan XXIII fights against the processes of gentrification, Janet in Getsemani generates proposals for the design of public spaces with materials recycled with the help of children and Flor leader of a group of recyclers, demands from the government their right to decent housing. 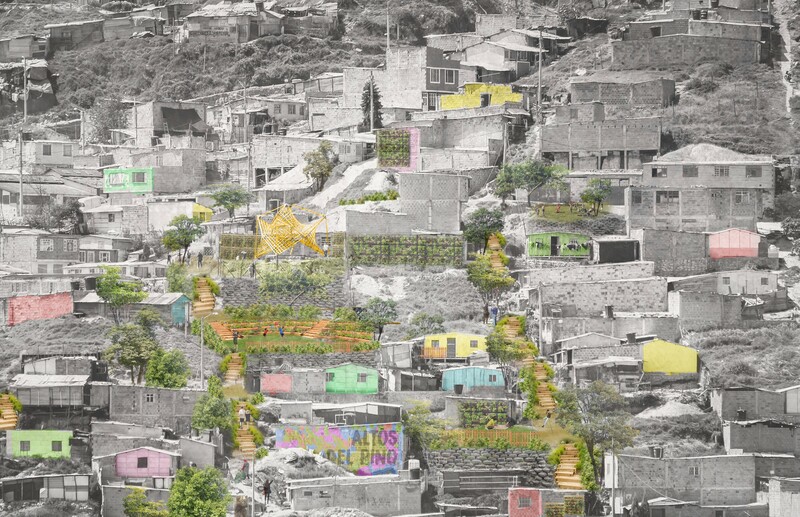 All these processes were born from self-built organized communities in Bogota. Some invisible, because they are settled in the periphery, invisible to generate their own emerging forms of organization, architecture and urbanism that were not adapted to the norms that govern the city. 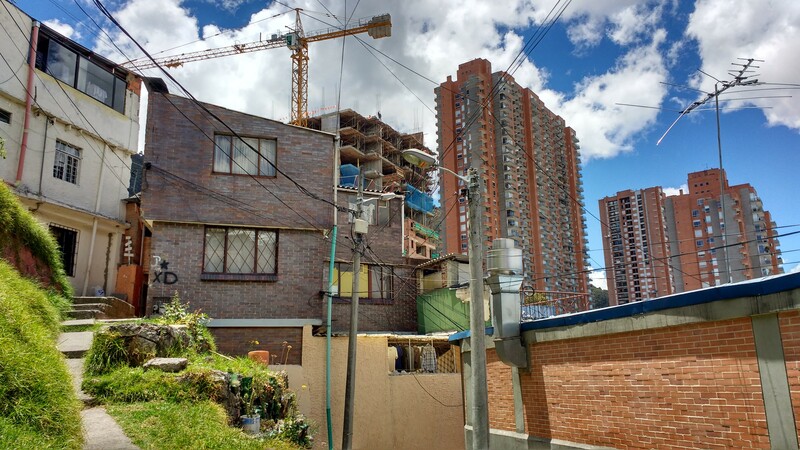 In fact in cities like Bogotá, they do not adapt to the paradigms of sustainability. I believe that we are in a critical process, that our current paradigms on sustainability must be rethought and that these base organizations will play an important role in this paradigm shift. I think that the future of our cities lies in these experiences that build our territory collectively everyday. Just as Escape has managed to unleash multiple actions in its neighborhood and managed to articulate Universities, Collectives and Organizations, perhaps it is time for the academy and institutions to learn from this organization and aim at generating a transformation of the territory for the creation of more equitable cities. In both Colombia and India, homegrown settlements are present but differ largely in their social make-up.